Albany, NY - June 29, 2015 - Governor Cuomo announced the availability of free summer meals sites throughout the state to provide children from low-income households with fresh, healthy food when schools are out of session. Data from a national report shows nearly 360,000 children received free summer meals in New York in 2014, an increase of nine percent from 2013. To find a site in your community or for further information, call 1-800-522-5006 or click here. 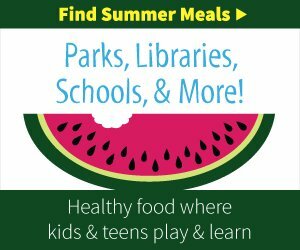 Subject: LongIsland.com - Your Name sent you Article details of "Governor Cuomo Announces Free Meals to Boost Children's Nutrition During Summer Months"